The calendar tells me it’s spring, but judging by the recent wrath of Mother Nature, it’s still winter here in Vermont. I’m an optimist, though, and thoroughly looking forward to camping season, which for me begins in two short weeks. There is just nothing like that first spring night outside. The world is so fresh, and the woods always welcome me back with open arms, and hardly any creepy-crawlies. Of course, it’s not all roses and sunshine. Spending the night in the woods in March can be cold, and there are those April showers to contend with. Still, after being cooped up all winter, spring is still one of my favorite times to go camping. But honestly, if you’re into camping, you may think every season is fair game. 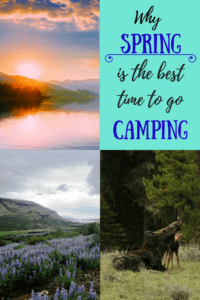 If you’re not convinced that camping in the spring is the bomb, here are a few reasons why we love it, and why we think you will too. Ready for a colorful show? Spring wildflowers are as plentiful and varied as they come, and you can find them just about everywhere, from parched deserts to boreal forests, and every place in between. Living in the northeast, I’m partial to the spring ephemerals — those tiny, but remarkable woodland flowers that make use of the abundant sunlight before the trees leaf out. To me, these beauties are magical, beating the odds in the cold, short days of spring. I love hunting for the very first flowers — the spring beauties, Dutchman’s breeches, and trout lilies. They are delicate, but strong, kind of like this amazing earth we call home. 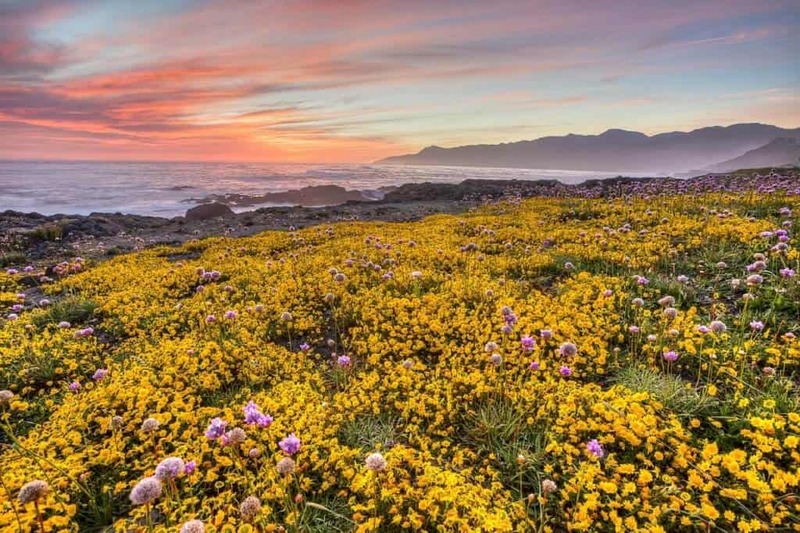 As the days lengthen and the sun warms the earth, you will begin to find wildflowers in meadows, alongside hiking trails and roadsides, and beside the shores of your favorite lakes and rivers. Camping in the spring allows you to put down roots, if only for a day or two, and truly experience the season of colorful, wild abundance. Want to be alone on your camping trip? 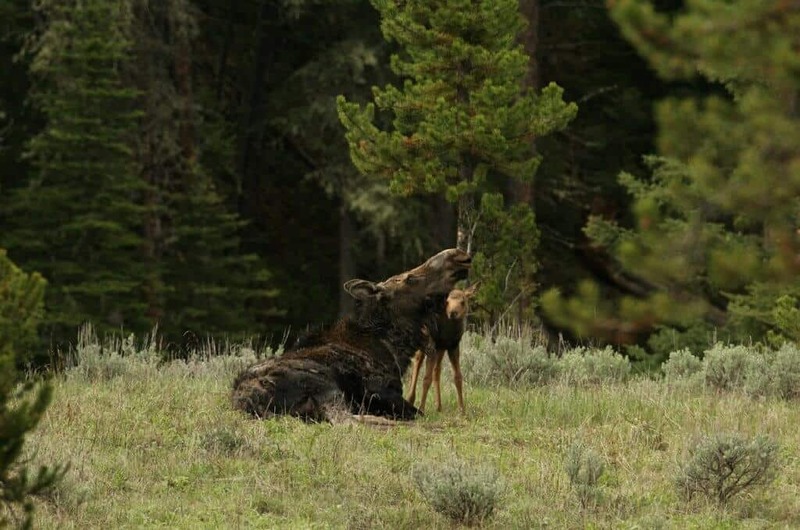 You have two options – backpack to some distant spot or go camping in the spring. 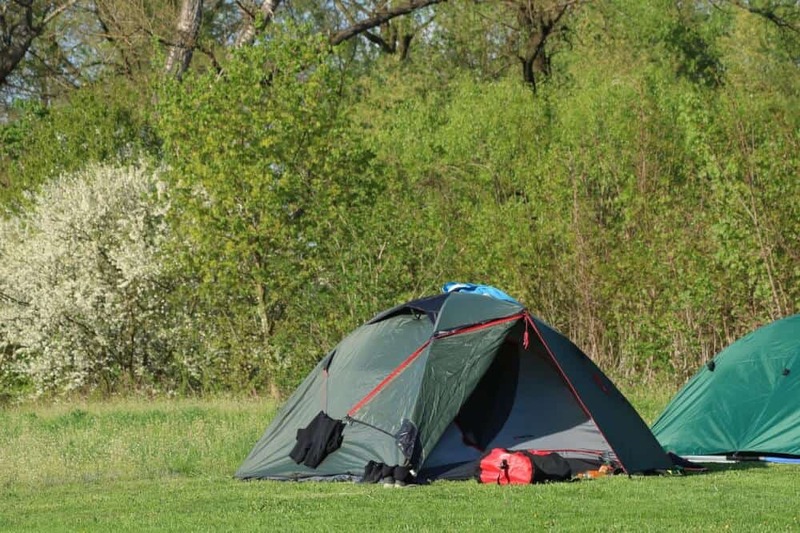 The unofficial camping season across most of the USA usually coincides with school vacations. In the northeast, campgrounds don’t open until Memorial Day, and if you want to pitch your tent before then, you can either make special arrangements with your local park, or you can hike into the forest or backcountry, and leave the rest of the world behind. 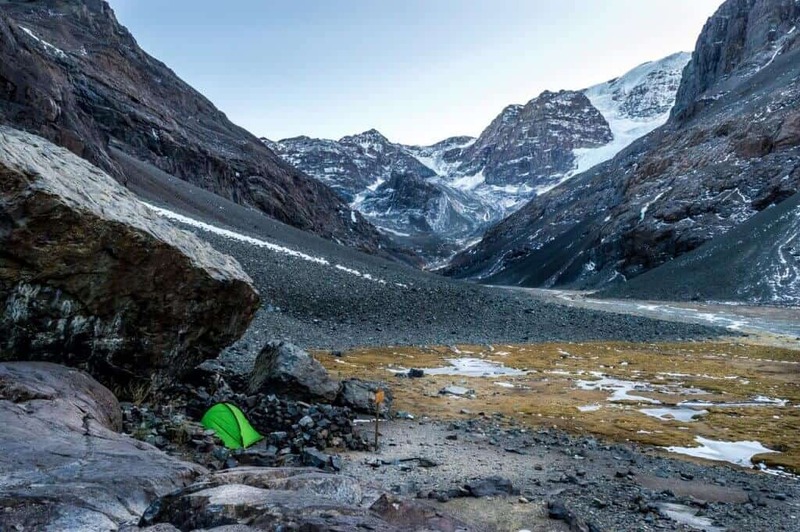 Either way, you’re just about guaranteed the best camping spot, not to mention, complete and total solitude. For me, this means off-leash fun for my dog, unstructured time away from the rat race, and a chance to get my camping gear in order before the season kicks in. Of course, the reigning solitude might go hand-in-hand with rain from the heavens. Spring is notoriously unpredictable. I don’t mind a little weather, but if a deluge is predicted, I stay home. No reservations at the campground means no worries when I don’t show up for my date with the wilderness. Just for the record, I will not tell you that there aren’t mosquitoes in the spring. I’ve seen ‘em. I know they’re out there, waiting for a taste of human flesh. But mosquitoes are generally a summer predator, and they definitely won’t be hanging around your spring campfire when the weather cools off before bed. Not smelling like bug spray is a huge benefit of spring camping, don’t you think? A disclaimer here — mosquitoes aren’t the only nuisance insects in the woods, although I think they’re the most annoying! Ticks are prevalent across much of the United States, and they’re active as soon as the snow melts and the ground starts to thaw. Be sure to wear long pants and do a tick check before bed. If you live in New York or New England, you’ll also have to deal with black flies in May. Their lifespan is really short, but they are awful little creatures. Black flies hang out near water — lakes, rivers, and swamps. Long pants and shirts and a nice big head net is a good way to keep them at bay. 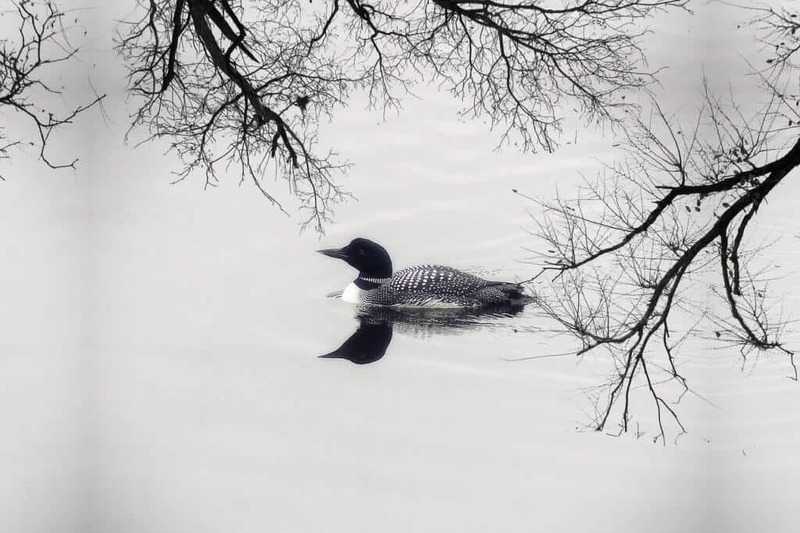 A lonely loon hangs out on a lake in the spring. In New England, we’ve got a handful of hardy winter birds that frequent fields and feeders to keep themselves alive through the snow and cold. In spring, like magic, the summer birds return, and they’re busier than ever — looking for mates, building nests, laying eggs, and rearing young. The best time to watch birds is when they’re too busy to watch you, the fact that the leaves are still bare makes it even easier. Listen and observe the birds is in the wee hours of the morning, before and after sunrise, and just before the sun hits the hay. No need to set your alarm for 4 am to watch the birds. Set up your tent, and you’ll be there, waiting for the morning serenade. 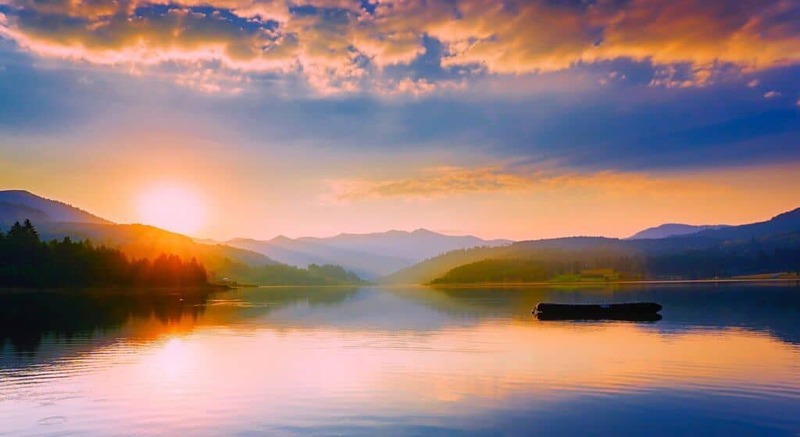 Spring sunrises and sunsets are so lovely! I don’t know a single person who doesn’t love a gorgeous sunset (thank goodness). But when you live in a world indoors — with clocks, computers, and schedules, it can be challenging to get out there to embrace the dying of the day. Set up your tent in the spring woods, and you will be ready to bid the sun goodnight and good morning the next day. The great thing about spring camping is that the sun still sets early enough and rises late enough so that you can easily catch both without complaint. Your internal rhythm will be in tune with earth’s natural cycles of night and day, and your body, heart, and soul will thank you. Sleeping outside in the spring is like being invited to a secret party. You’ll be there in the early morning and the late evening when the animals are the most active. The birds will wake you up with the rising sun and sing you to sleep each night. And the best part? You’ll be welcomed into the fold of the natural world, because it’s right where you belong. When you leave the hustle of your daily grind behind and head into the woods for a night or a weekend, you become a part of the earth’s natural rhythms. You are no longer loud or blundering. Your steps and movements have purpose and you realize that this is exactly where you should be. Camping is magical and memorable all through the year, but in the spring, it feels like waking up. If you enjoyed this post, please pin and share – Thank you! I love getting outside in the spring! Especially here in SoCal, spring gives us *amazing* weather and beautiful blooms. Camping isn’t my thing, but long day hikes are the best. 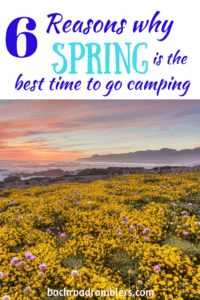 I’ve never really thought about Spring camping but I can’t argue with these reasons, especially fewer mosquitoes – say no more! The weather is warming up quickly here in New York too… now I just have to remember where I packed my tent! I am more of a glamper than a camper but your photos make me rethink that! Spring sounds like a perfect time to go camping. I cannot agree more! The flowers truly wake you up to a bright new day every day!